In a tersely-worded statement, the US State Department just announced the withdrawal of the United States from UNESCO, citing its clear anti-Israel bias as its reason. Israel immediately followed suit, announcing its withdrawal from UNESCO shortly after the US announcement. UNESCO Director-General Irina Bokova tweeted her profound regret that the US is withdrawing from the organization. Her tweet was posted before Israel announced its own withdrawal. ISRAELI leader Benjamin Nenanyahu has announced his country will join the United States in quitting UNESCO after Washington claimed the UN agency is “anti-Israel”. The US withdrew funding from UNESCO after Palestine became a member in 2011, but kept its office in its Paris headquarters to influence policy from the back room. But today Rex Tillerson, the US Secretary of State, confirmed it was taking its protest one step further, with the withdrawal becoming effective on December 31. UNESCO said the US decision was a loss for multilateralism and for the UN. Shortly after the US announcement, Israeli Prime Minister Benjamin Netanyahu said that Israel would follow the US in quitting UNESCO. The Israeli leader called the US decision to exit UNESCO “brave and moral”, according to a statement. 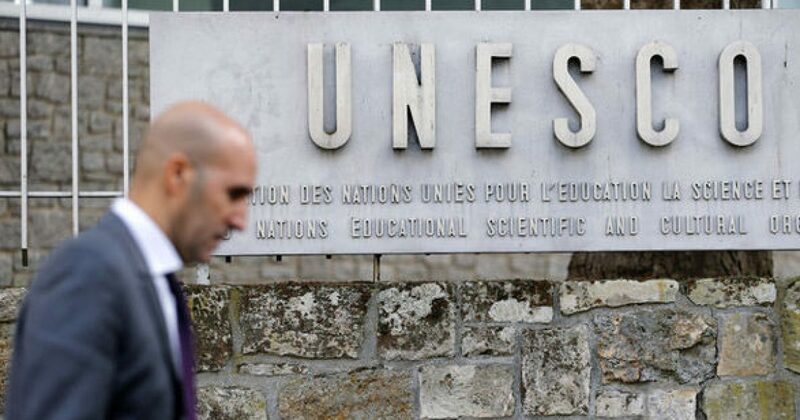 UNESCO – which stands from the United Nations Education Scientific and Cultural Organisation – is choosing its new director this week. It is known for declaring areas of cultural and environmental importance around the world as World Heritage sites. The US currently has 23 places declared World Heritage sites, including the Grand Canyon, Yellowstone National Park which is homes to 10,000 geysers, Yosemite National Park, which has 1,200 square miles of mountains, valleys, waterfalls and wilderness, and the Everglades National Park in Florida which hosts scores of endangered species.